Last Friday, September 26, a large group of thoughtful community workers, citizens, and business people gathered in the vibrant meeting space of St. Marks Episcopal Church in New Britain. They were there to discuss an ever present struggle; poverty. The event brought together speakers from various organizations in focused panels to discuss housing, health and nutrition, and jobs and education. It was designed to shed light on the complexity of poverty, share ideas, and get to the heart of what poverty means in the community. 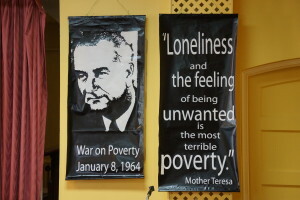 A black banner hung next to the panelists that read, “Loneliness and the Feeling of being unwanted is the most terrible of poverty.” -Mother Theresa, keeping the focus on the entirety of poverty, not only basic economics. The discussions were filled with anecdotes and personal reflections given alongside the facts and programs from social organizations. 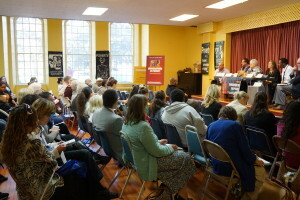 The variety of attendees kept the event personal and engaging with the many topics of conversation. Following the topic of housing, CHC’s own Yvette Highsmith Francis, regional VP, and Kara Ellis, lead dietitian, joined the panel on Health and Nutrition. Yvette captured the room with a personal story of limited access to care due to inability to pay. She continued to speak on the mission of CHC to serve everyone with the highest quality of care, regardless of their ability to pay and how it has positively impacted the community. Following Yvette, Kara spoke on the importance of good food, not just any food. She mentioned that everyone cares about what they are feeding their families, and understands that poverty means limited access. She strives to meet patients ‘where they are’ in her nutrition counselling, to prevent a population that is overfed, but undernourished. 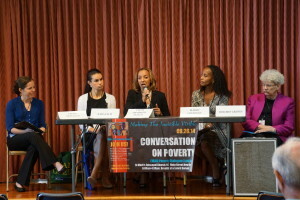 All the speakers and audience members came together for this informative and compassionate discussion on poverty. They kept the humanity and individuality present in the case of poverty, not just the numbers and simple solutions. 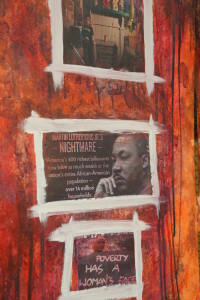 Students from New Britain even contributed artwork titled ‘Windows into Poverty’ as shown above. 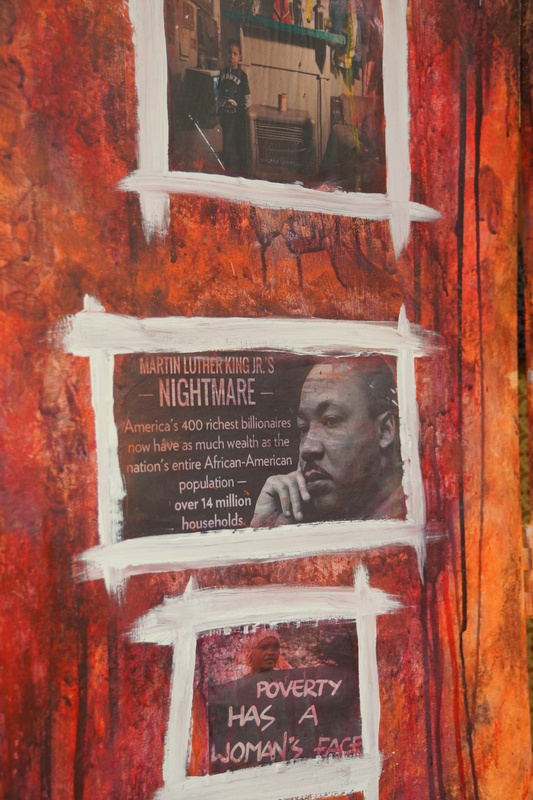 Using news clippings and personal photos to show the detrimental effects of poverty. This event is the kind of open dialogue essential for bringing communities together around the daunting and very real issue of poverty, both for better understanding and solutions.